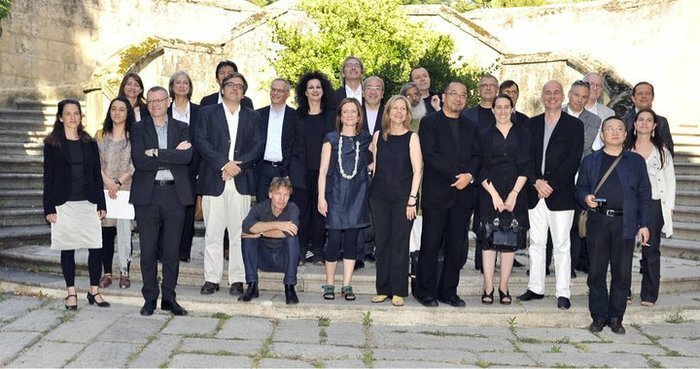 Speakers and participants at International Architectural Education Summit, June 2011, Segovia, Spain. Courtesy of IE University. 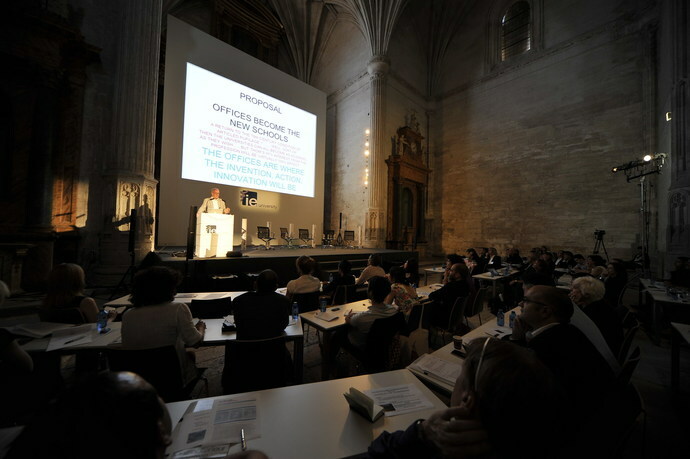 The International Architectural Education Summit event brings together internationally respected architects, educators, and scholars to explore trends, issues, and experiments in architectural education worldwide. The results, addresses, and discussions of the Summit are complied and published in book format. 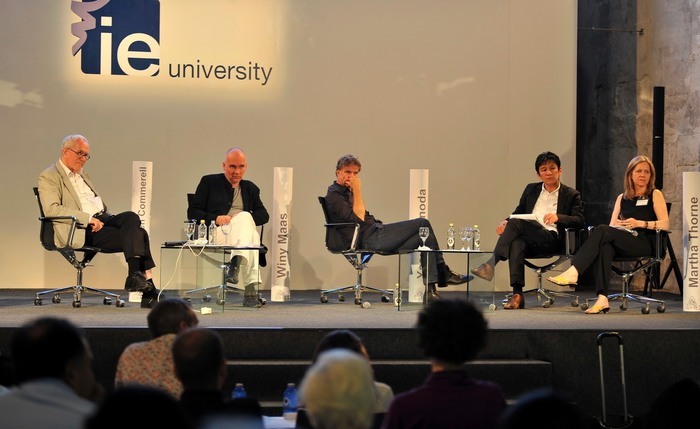 The first edition of the Summit took place at Tokyo University in 2009 and dealt with globalization in education and its relation to the architectural profession. 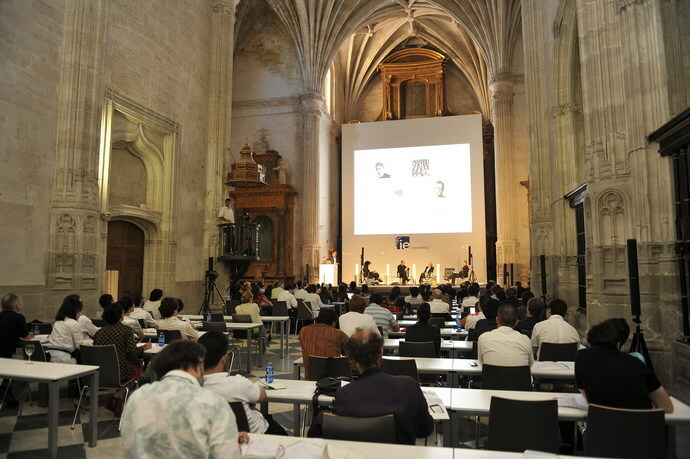 The Summit will be held every two years, with its upcoming meeting hosted in Madrid and Segovia, Spain, in June 2011. Under the broad theme of Innovation in Architectural Education, experts present their views, and debate trends and possible new directions in architectural education. Specific panels address interdisciplinary collaboration, the opportunities and challenges of education in a digital environment, alternative educational platforms, and the need for and implications of global outreach. Speakers: Hitoshi Abe, Peter Cook, Branko Kolarevich, Winy Maas, Thom Mayne, Urs Hirschberg, Donna Robertson, Monica Ponce de Leon, Rob Docter, Wang Shu, Mark Wigley, Javier Quintana,Yasuaki Onoda, Neelkanth Chhaya, Ingebord Rocker, Brett Steele, Nobuaki Furuya, Martha Thorne, Odile Decq, Marcos Cruz, and Stan Allen. IE School of Architecture is a fully accredited, degree-granting institution whose courses are taught in English and Spanish. With an international focus, it fosters a blend of cultures, approaches, and ideas. IE School of Architecture seeks to move beyond traditional programs by emphasizing an extensive internship program, new online teaching methods, the incorporation of experimentation and integration workshops into the curriculum, and the use and development of digital media.IE School of Architecture is a private educational institution located in Madrid and Segovia, Spain, established five years ago by the IE Business School (formerly Instituto de Empresa). Its parent organization, devoted to graduate studies in all aspects of business, was founded forty years ago. It is internationally recognized as a leading educational institution for its innovative approach, rigorous standards, and an inclusion of a humanities component in all its programs.